A Whirlpool Duet washer uses a water pressure switch to determine how much water to let into the tub. The switch also detects issues with oversudsing or overfilling. When the control display says "SUD" or "F1," you will need to test the pressure switch to ensure that it is working properly. Use an ohmmeter to determine whether the pressure switch is malfunctioning. The ohmmeter is the tool for this job. Unplug the Whirlpool Duet washer power cord from the wall outlet. 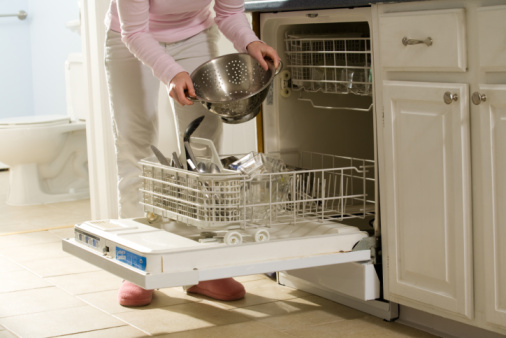 Pull the washer away from the back wall far enough that you can slide the top off the washer and get behind the washer. Go behind the Duet and remove the three screws securing the top panel to the rear panel with a Phillips-head screwdriver. Lift the rear of the top panel up and slide the top panel off the washer. Locate the pressure switch inside the washer cabinet. From the rear of the washer, the switch will be on the rear left corner of the cabinet. The pressure switch is round with a wiring harness connecting to the back of the switch. The wiring harness has six wires attaching to the white harness block. Pull the wiring harness away from the pressure switch with your fingers. 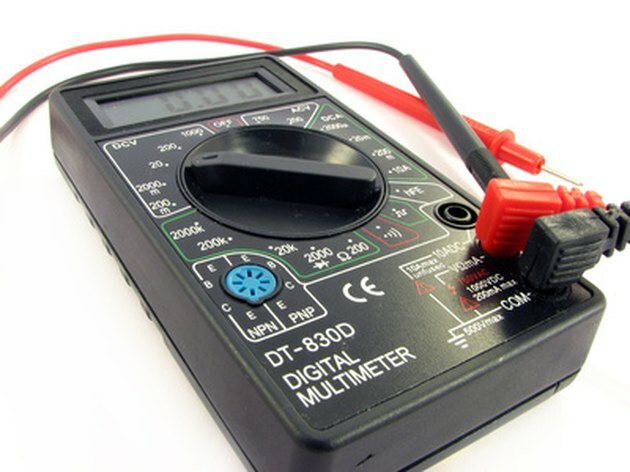 Adjust the scale on your ohmmeter to the RX1 or X1 scale. Stick the tips of the ohmmeter probes into the small slots where the wiring harness connects to the switch. Looking at the pressure switch, place one probe into the far left hole and the other probe into the third hole from the left. The reading should be zero. Test the pressure switch's "suds detect" function. Stick one probe into far right hole and another probe into the hole next to that one. Again, your ohmmeter should read zero. Place a probe into the second hole from the left and the other probe in the third hole from the left to test the rinse. Again the reading should be zero. The final test is to leave the probe in the third hole from the left and place the other probe into the fourth hole from the left to test the overflow pressure. Once again, the reading should be zero. If the pressure switch fails either of these tests -- if the reading is anything other than zero -- you will need to replace the pressure switch.